Food prices are always on the rise, so it is hard to find something that is value for money and yet still fills your tummy. This is especially so for hawker food that uses seafood as part of their ingredients. 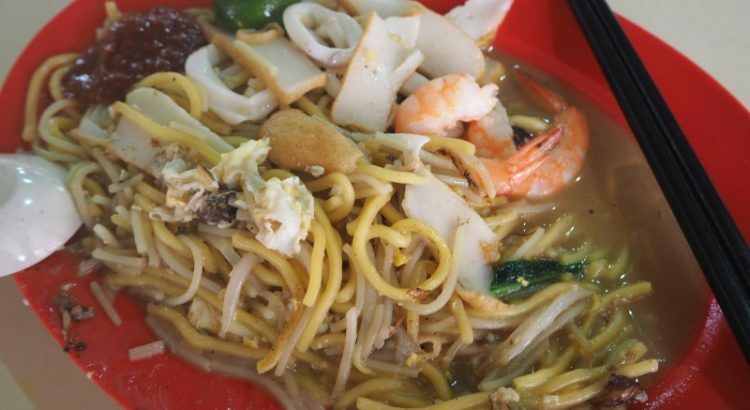 Nowadays, a plate of hokkien mee would usually cost $4 and above; while a few places still sells at $3.50. 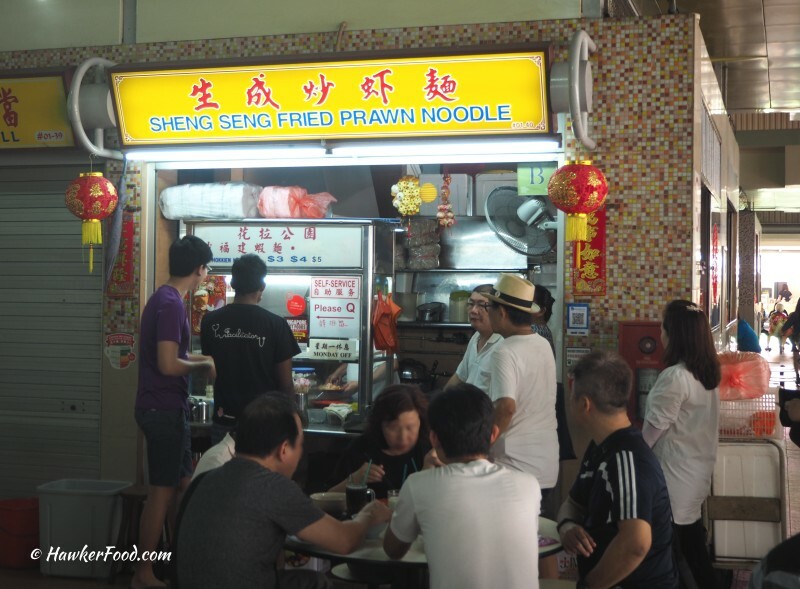 So, it came as a surprise to me when I saw Sheng Seng Fried Prawn Noodle selling their hokkien mee starting at $3. It was lunch hour at Pek Kio Market and Food Centre and I decided to join the queue for Sheng Seng Fried Prawn Noodle. 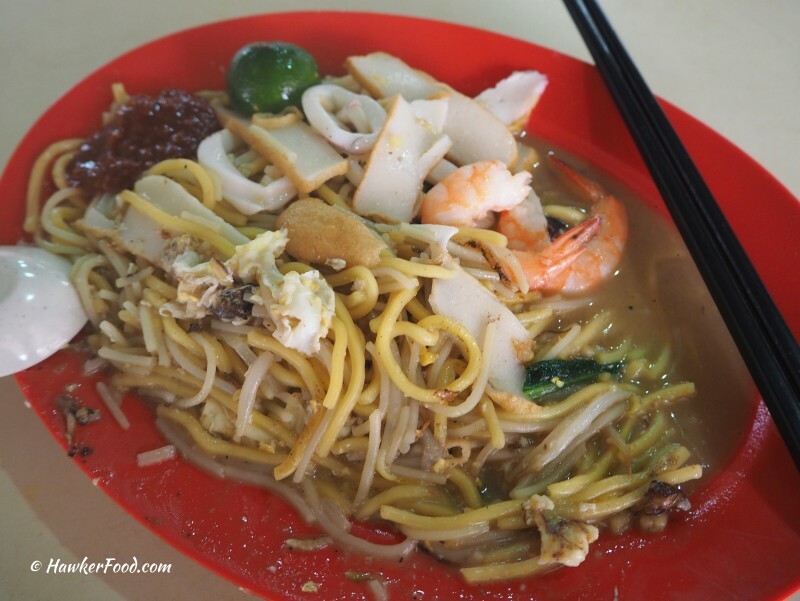 I did not have to wait too long before I received my plate of hokkien mee. The portion is generous for $3 considering it had two prawns, slices of squid and fish cakes. The wok hei smell was very evident and I liked the sogginess of this prawn noodle. It had a kind of old school taste and the wetness was something that stood out for me as most of the hokkien mee I tried are not as wet. The chilli enhanced the taste further and is recommended. A value for money, old school, soggy fried prawn noodle that fills your tummy at a reasonable price in today’s market.